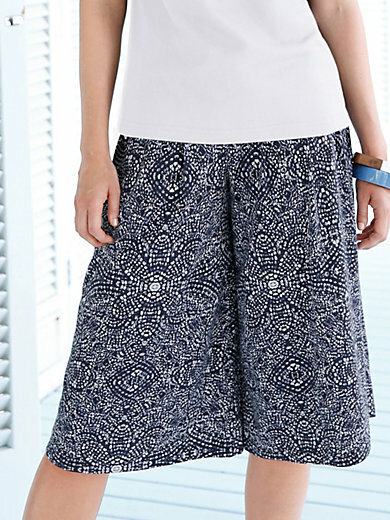 Culottes by GREEN COTTON with an elasticated waist and attractive pleats at the front. 100% cotton, GOTS-certified. Inside leg length approx. 39cm/15.5ins. The culottes are machine washable.